Loft-like and open modern and elegant 1 Bedroom luxury FURNISHED apartment in the heart of Brooklyn Height's historic neighborhood. This is one of the prettiest apartments you'll ever want with gorgeous sunlight. 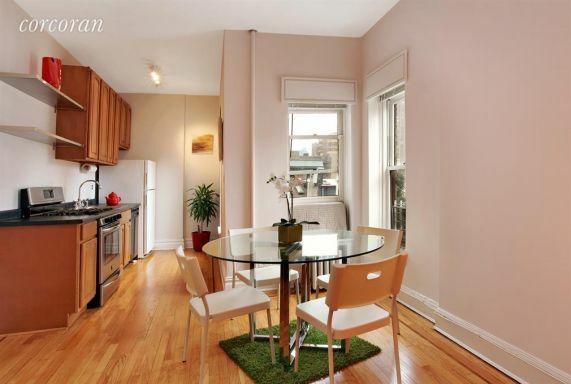 This UPSCALE furnished rental is a short walk to trains and shopping and features a Brooklyn skyline view, fantastic decor, hard wood floors, walk-in closets, dishwasher, HD cable tv and WiFi, 3 exposures (S,E,W), 10' ceilings, superb light and much, much more. 29 Willow Street is synonymous with gracious living. Renter needs excellent verifiable references and good credit. Bring your Dog! Please inquire Bi-Weekly housekeeping. Finally Welcome Home to Temporary Paradise!